Here’s a challenge from the National Wildlife Federation. If this matters to you, Garden-911 can help you get certified. You can participate the Million Pollinator Garden Challenge by turning your yard or garden into a Certified Wildlife Habitat via National Wildlife Federation’s Garden for Wildlife program. It’s as simple as providing food, water, cover and places to raise young for pollinators like bees, butterflies and hummingbirds. Then visit our website to certify your yard. 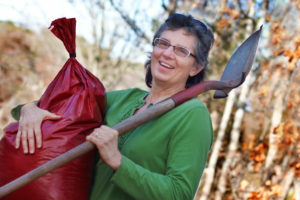 When you certify, you’ll get a personalized certificate, a special garden flag designating your yard as a Certified Wildlife Habitat, a one-year membership to National Wildlife Federation, six digital issues of National Wildlife magazine, a subscription to the monthly Garden for Wildlife e-newsletter, and a discount on wildlife gardening products from National Wildlife Catalog. Most importantly, you’ll also start attracting beautiful pollinators and get the satisfaction of knowing that you’re making a difference. Each Certified Wildlife Habitat counts towards the ultimate goal of creating one million pollinator-friendly gardens by the end of 2016. This entry was posted in Native Plants, Pollinator Gardens and tagged Native plants on March 6, 2016 by admin.